After the Civil War, freed slaves from Kentucky headed west to Kansas and established their own agricultural community, named Nicodemus. Nearly150 years later, the descendants of the town's very first farmers are doing everything possible to keep their legacy - and land - alive. 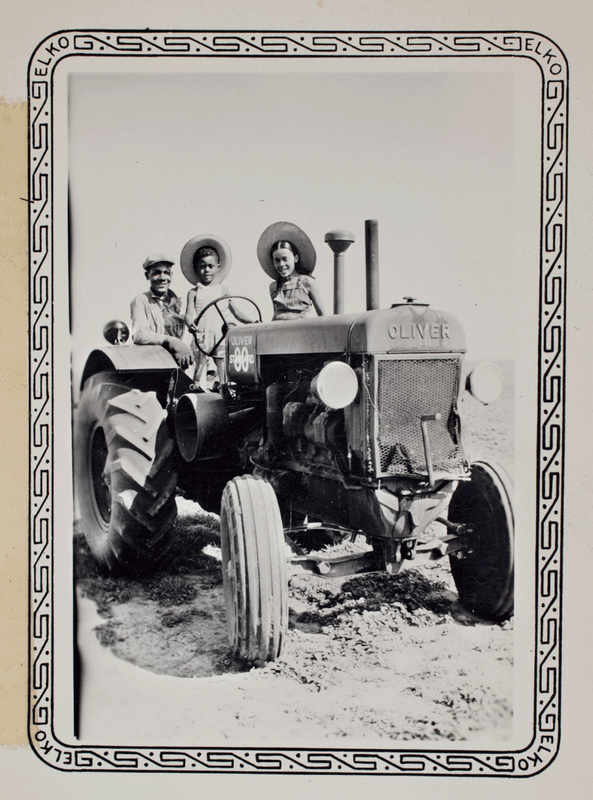 This photograph, taken in Nicodemus, Kansas, during the early 1900s, immortalizes (from left) farmers Perry and America Bates and their children, James and Martha. Their descendant Angela Bates now oversees the town's historical society. Local historian Angela Bates dates this archival image to the 1940s. 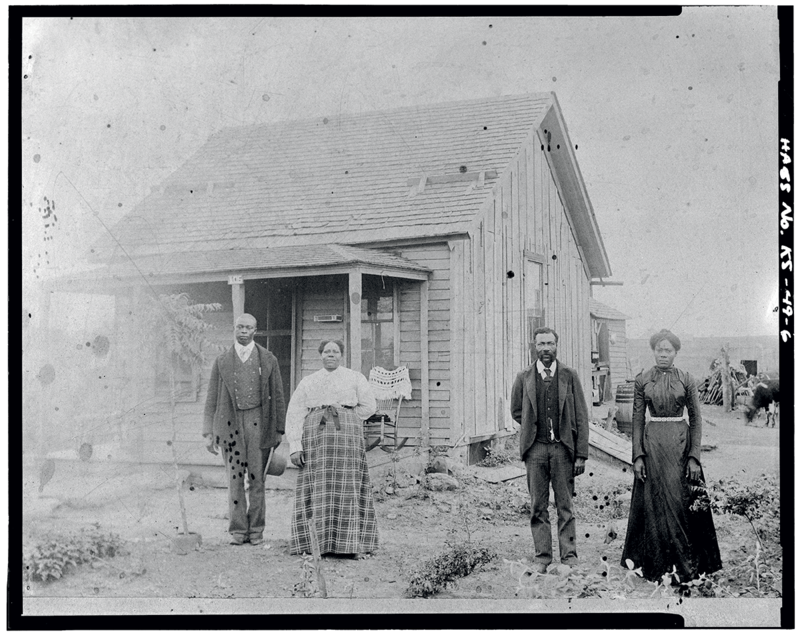 Alexander’s 1,100 acres include many that his great-grandfather, Andrew Alexander, farmed during the late 19th century, after migrating to northwest Kansas from Kentucky – one of 330 emancipated African Americans heeding the call of an 1877 circular promoting “The Largest Colored Colony in America.” That colony, established by six black men and a white land speculator, took its name, Nicodemus, from an 1864 song written by an abolitionist. “Nearly a hundred years before Martin Luther King Jr. had a dream, our ancestors were living the dream,” says Gil Alexander’s cousin Angela Bates, executive director of the Nicodemus Historical Society. 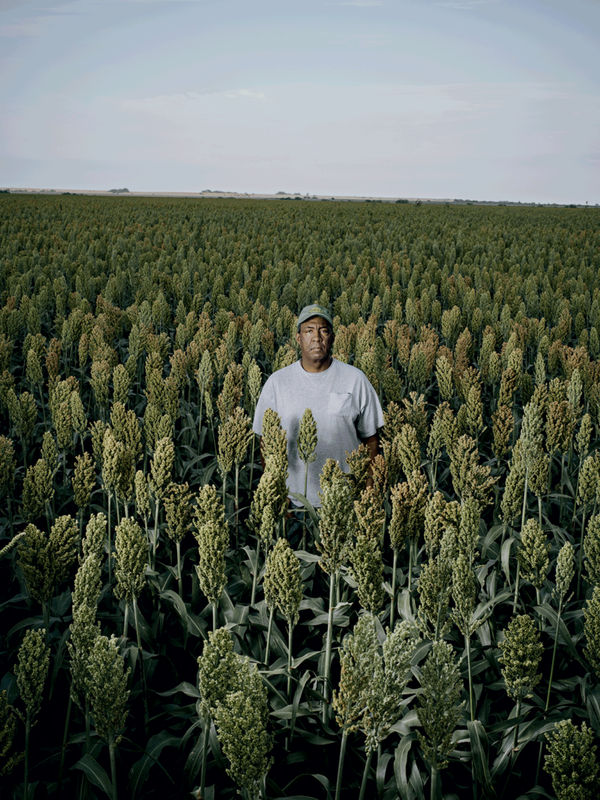 In the 1880s – a time when many blacks were sharecroppers – the citizens of Nicodemus presided over a booming agricultural economy, with more than 3,000 acres yielding corn, wheat, potatoes, sorghum, and other crops. A population of 650 supported a schoolhouse, post office, bank, two news- papers, two hotels, and three churches. Nicodemus wanted to expand that list with a railroad station. Instead, the Union Pacific chose an alternate route, five miles to the south, in the spring of 1888. Within months, a mass exodus occurred, as businesses, and then families, relocated to be near the new depot. Adding eventual insult to that initial injury? The Great Depression and the Dust Bowl. By the 1960s, the town claimed only 40 residents, and even the post office and school had shuttered. Nicodemus could have gone the way of the 11 other black agricultural colonies founded in Kansas after Reconstruction – all now extinct. Those places, however, didn’t have a descendant like the force of nature that is Angela Bates. Gillan Alexander farms sorghum, as well as wheat and soybeans, on 1,100 acres, some of which have been in his family since the 1870s. Bates finally moved to the area in the late ’80s and actively took up the cause of preserving it, launching the Nicodemus Historical Society and creating an archive at the University of Kansas to house the documents and photographs she had collected. In 1991, she wrote to Kansas senator Bob Dole, who secured funding for a Park Service feasibility study. And five years later, President Bill Clinton signed a bill into law making Nicodemus a National Historic Site. It was a major victory, if not the town’s saving grace. 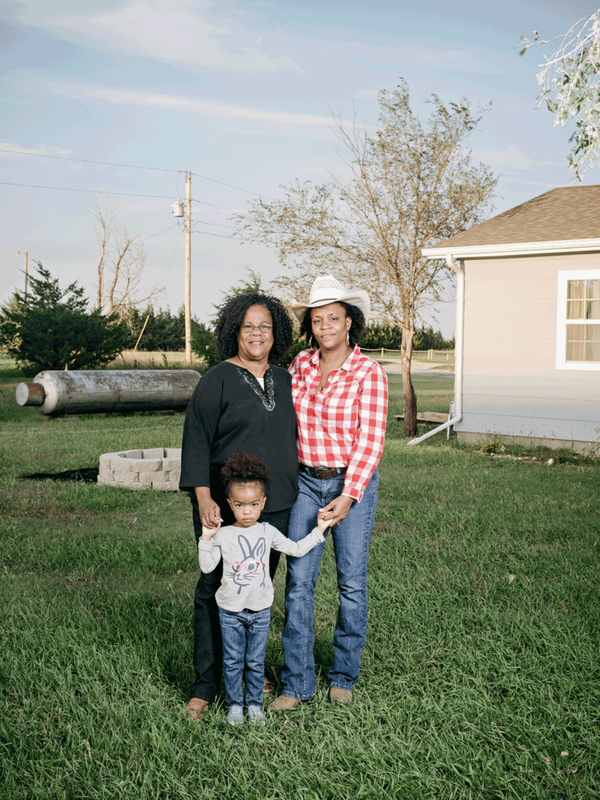 Both Bates and Gil Alexander, who helped organize the Kansas Black Farmers Association in 1999, see agricultural and historical tourism as the way forward. Unfortunately, though, the infrastructure necessary to support visitors doesn’t exist. Nicodemus is 225 miles away from the nearest major airport, in Wichita, and 50 miles from the Interstate. 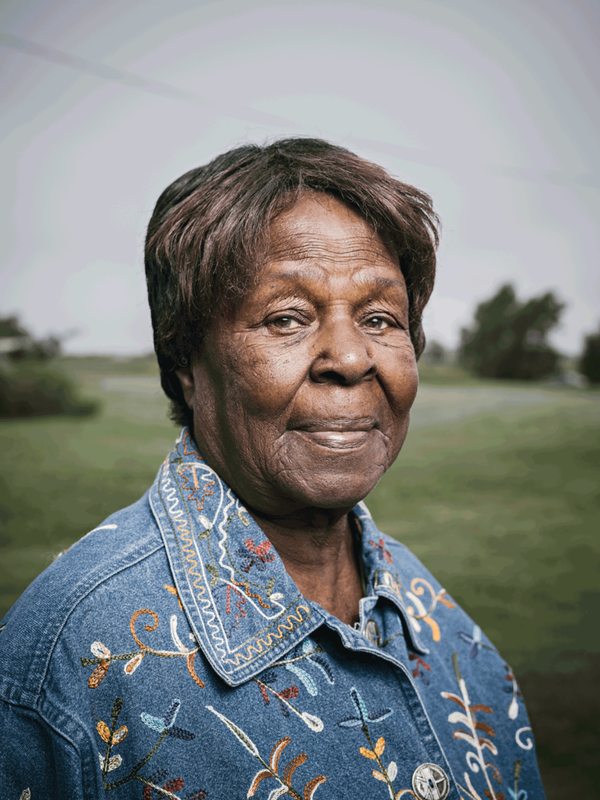 There’s not a single hotel and only one restaurant, a BBQ joint named Ernestine’s that Bates opened and operates herself. 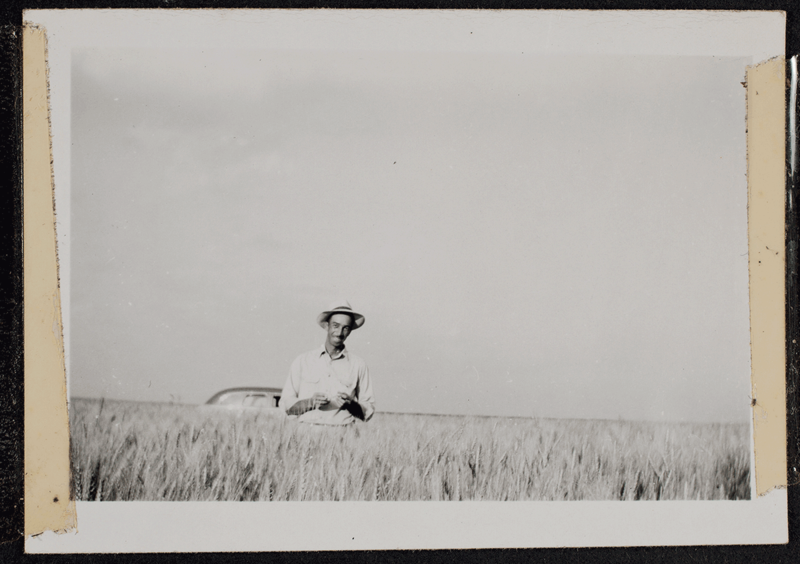 Arthur Warren White surveys one of his Nicodemus wheat fields in the late 1940s or ’50s. 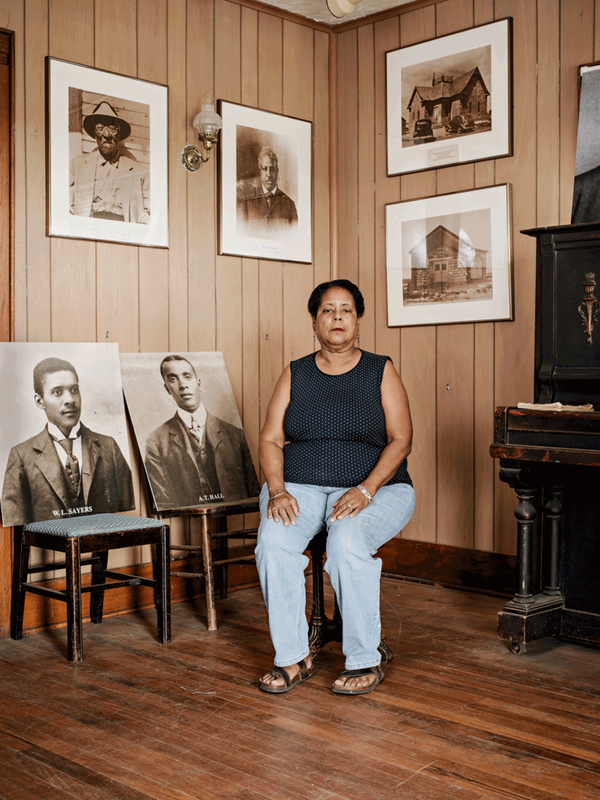 ABOVE Retired farmer Florence Howard is the granddaughter of George Moore and Effie Johnson, among the freed slaves who first migrated to the Kansas town. 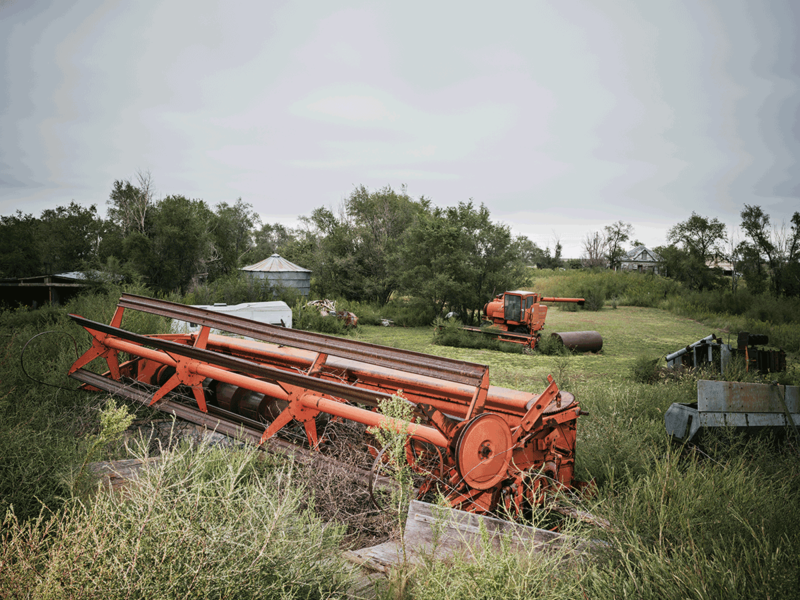 Abandoned farm equipment rusts in a Nicodemus field. Holmes’ daughter, LueCreasea Horne, may be the torchbearer her elders long for. The 38-year-old came home a few years ago with her husband and two children. 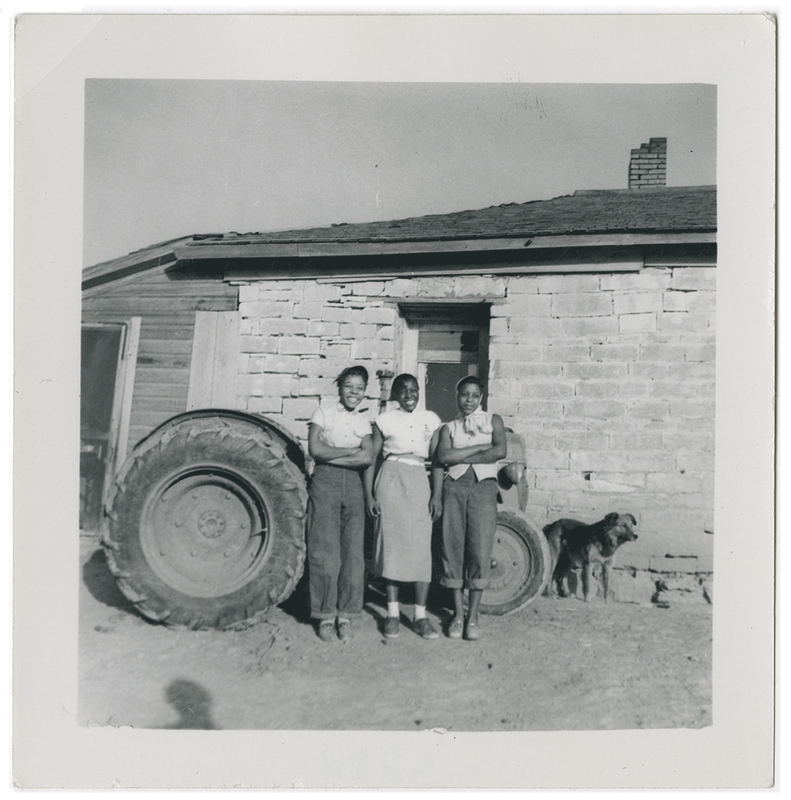 This shot of three young women on a Nicodemus farm was likely taken in the 1940s. Dr. JohnElla Holmes (left), a retired college professor, recently returned to Nicodemus, where she runs an agricultural camp for kids. Her daughter, LueCreasea Horne (right) moved back a few years ago to raise her two children, including daughter Lauryn.